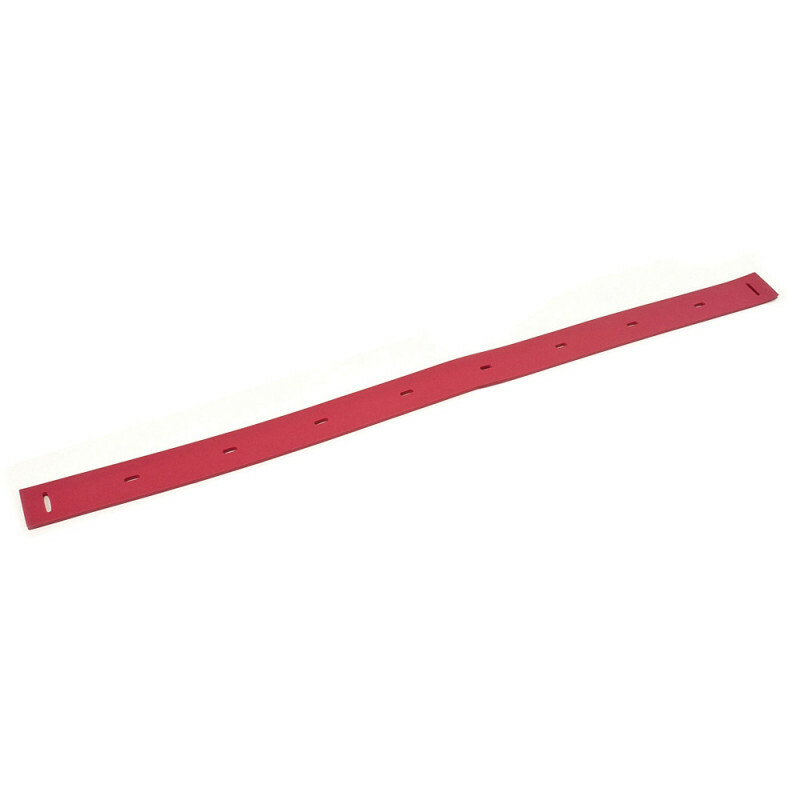 This rear replacement squeegee blade is made to fit the Trusted Clean Dura 17, and is designed to be used in combination with the front recovery squeegee to keep the floor scrubbing solution, or your degreasing solution in the suction path to dry your floor quickly. Use a defoamer when using a degreasing solution to help to protect, and prolong the life of your vacuum motors by breaking down the foam before it fills the recovery tank. Both the front and rear squeegee blades can be used on all four sides for recovery of dirty solutions. You can use the front side of the squeegee, then rotate, so the back side is facing forward. Then, you can flip it upside down, and use both of those surfaces. No tools are required to switch your blades, making rotation extremely easy and allowing you to do that fairly frequently. Rotating your squeegees every 20 hours of scrubbing is recommended, as it helps them to wear evenly and last longer.